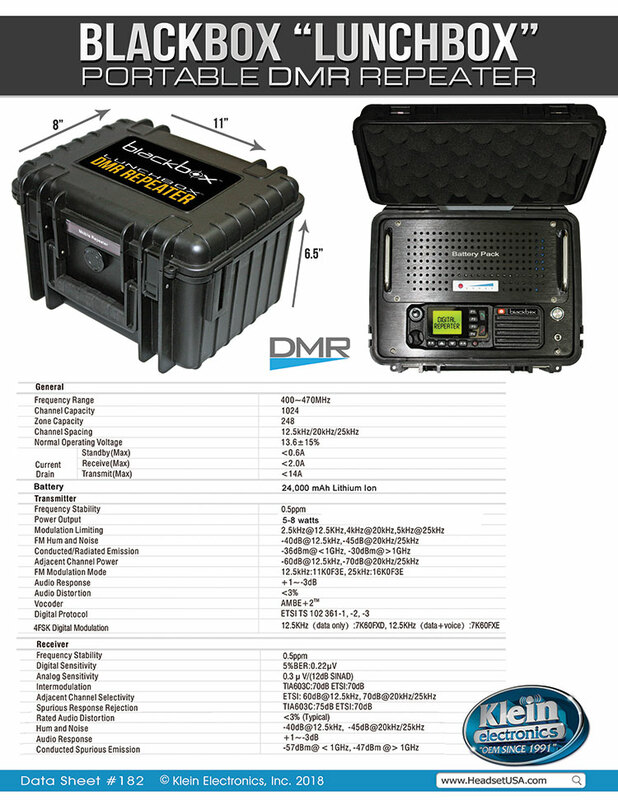 The Blackbox™ Lunchbox® Portable DMR Repeater with Direct Power is easy to program for digital and UHF analog frequencies and is great for emergency crews, remote locations or simply a desktop repeater. 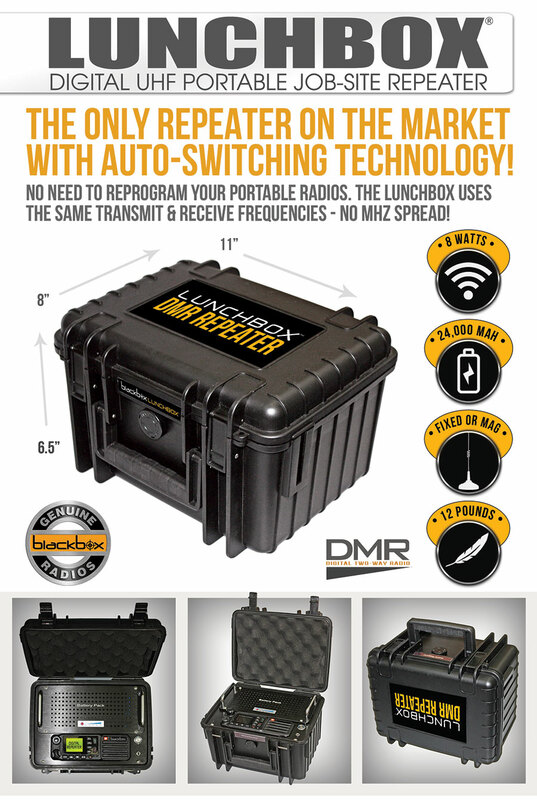 At only 12 lbs, the Lunchbox® Repeater with Direct Power provides 8 watts of output power and includes a small antenna with an optional magnet mount antenna for flexibility. Packed into IP66 waterproof case, it's only 8" x 11", the size of a lunchbox. 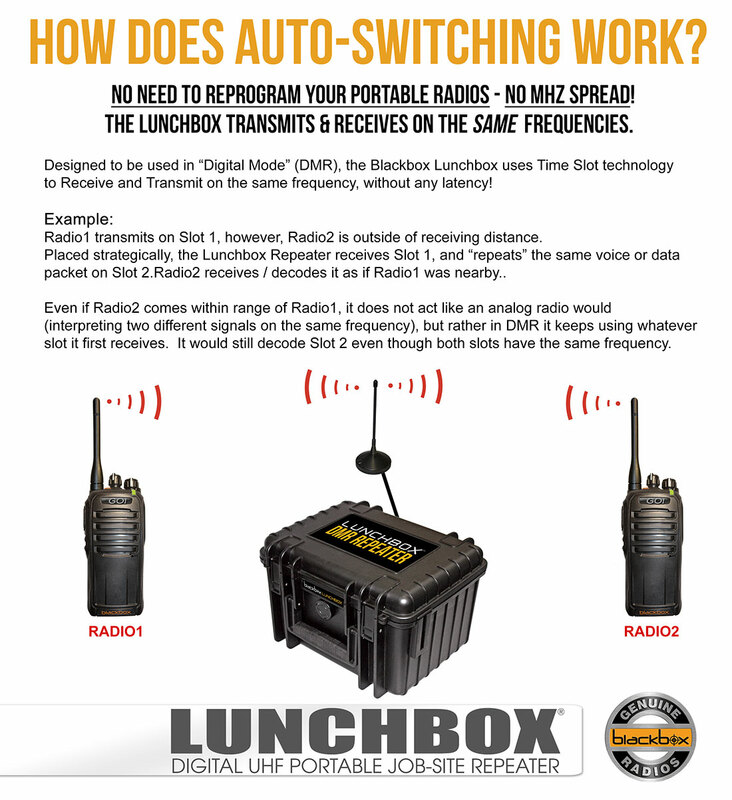 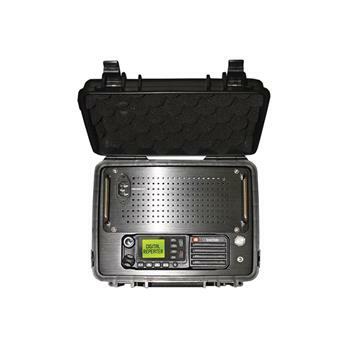 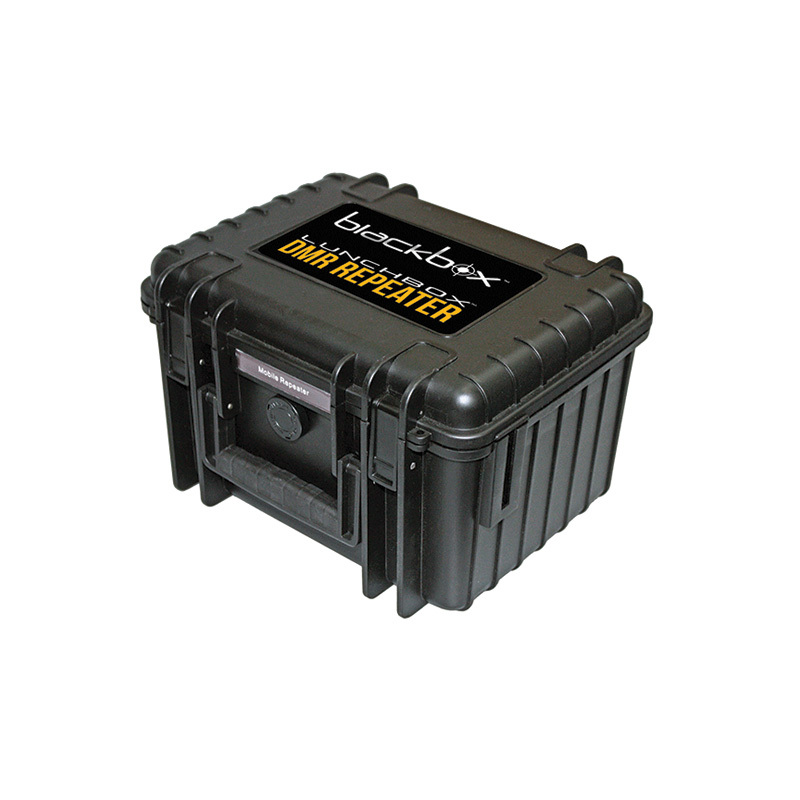 Easy to program for digital and UHF analog frequencies, the Blackbox™ Lunchbox® Repeater is easily deployed to job sites, emergency crews, remote locations or simply as a desktop repeater.